What book are you reading now? 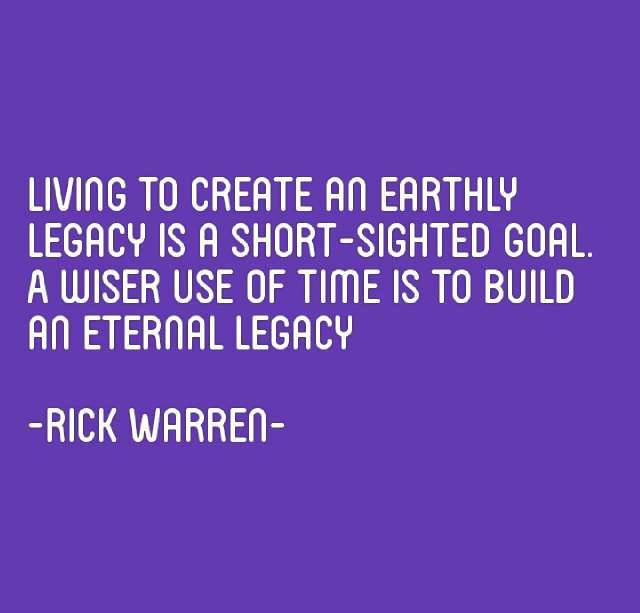 I reading Purpose driven life by Rick Warren. I should have read and finished this book a long time ago but ………. Excuses. Thank God for the opportunity to read it now. I have never thought of it exclusively, this way. Being one of those people who often says or remembers things like : what would posterity remember you for, this hit me differently. Yes it may matter what footprints we leave on the sands of time but even more important is what would happen to us on the other side of eternity. 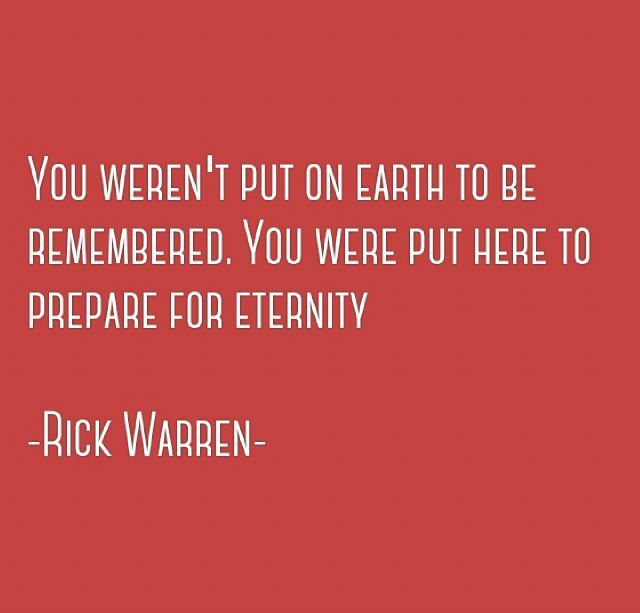 If we were to focus on eternity it would affect positively how we live our lives and indeed what we would be remembered for. If on the other hand we lay more emphasis on ‘what would I be remembered for’ we may miss the point and begin to leave our lives to please men rather than God. In the end our memories would fade from the people we love, they would fade from the earth but what won’t fade is the life we end up with on the other side of eternity. Experiences are better when we share.